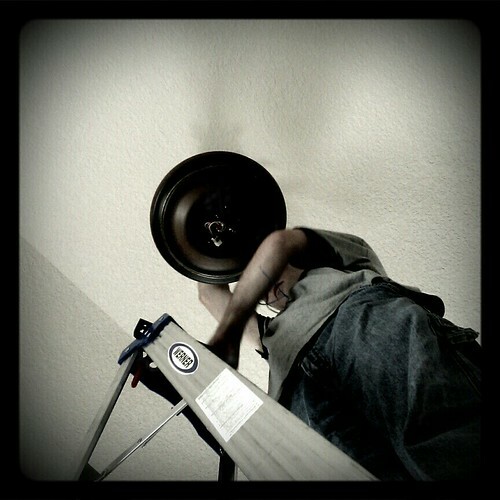 Nicholas and I installed our first ceiling fan. Kind of a huge deal seeing as I'm incredibly afraid of electrical wires. He's totally my hero for doing the install part of the install. (I assembled the parts, safely on the ground away from wires). And for doing the one in the living room, once we finally decide on which one to get.